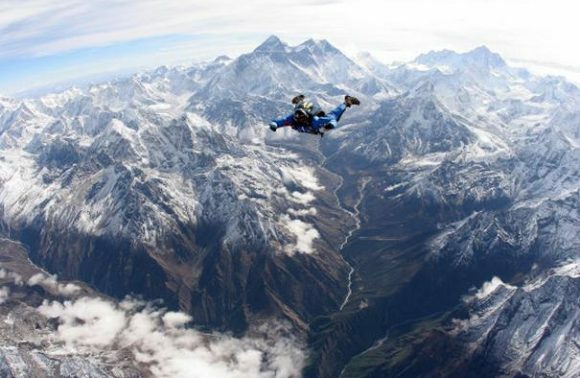 These People Went For A Skydive In Nepal Over The Himalayas and The Photos Are Insane! The world we live in, makes us yearn for magic. Makes us want to be part of truly extraordinary experiences, makes us want to feel what it really means to be alive. Everyone dreams of these epic experiences while dealing with their mundane lives, only a few actually go ahead and live it. 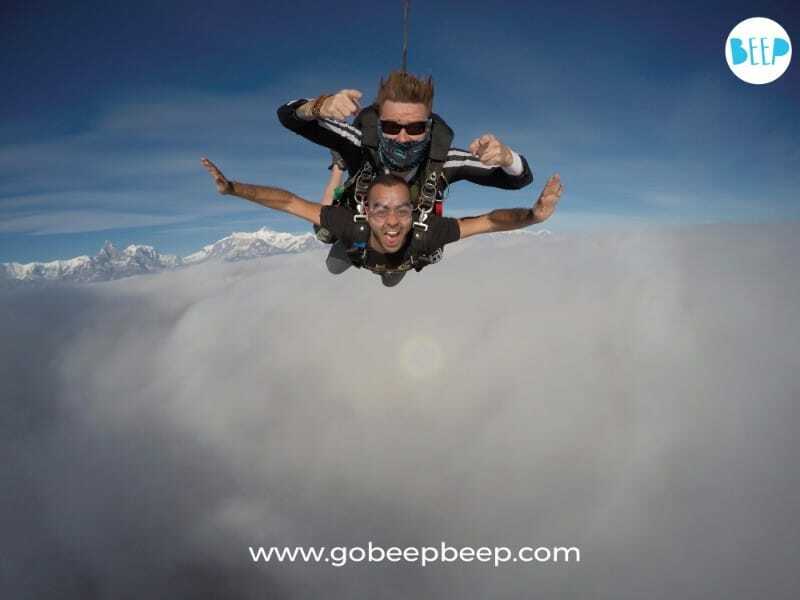 BEEP – Beautiful Experiences Extraordinary Places organizes one such unique travel experience. 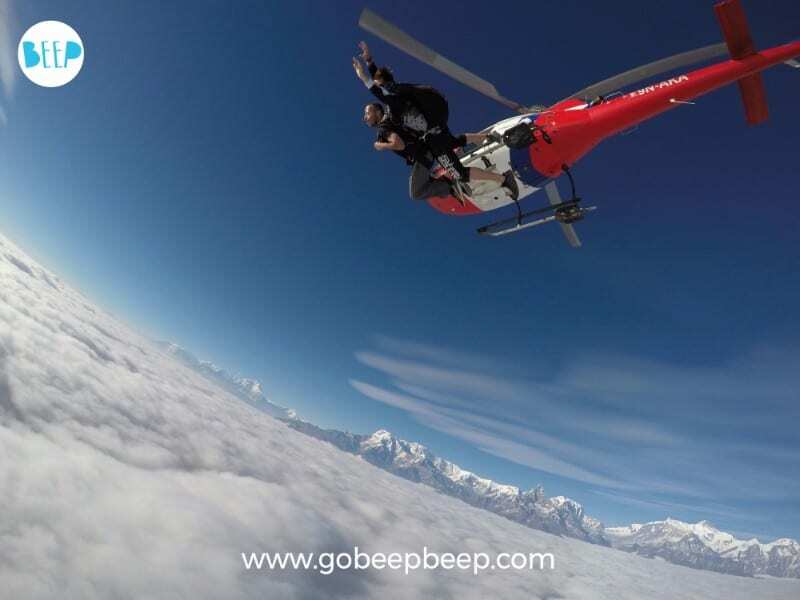 A “Once-A-Year-Only” Skydive In Nepal in November every year and man the photos are insane!! There are no permanent schools or Centers to Skydive in Nepal in general because the weather is not conducive most of the year, but November is an exception when the weather is dry and gorgeous…..
Last time, the entire set-up, a temporary Helipad, and a Skydiving drop zone were built at a breathtaking panoramic valley a few hours outside of Pokhara in the Himalayas. 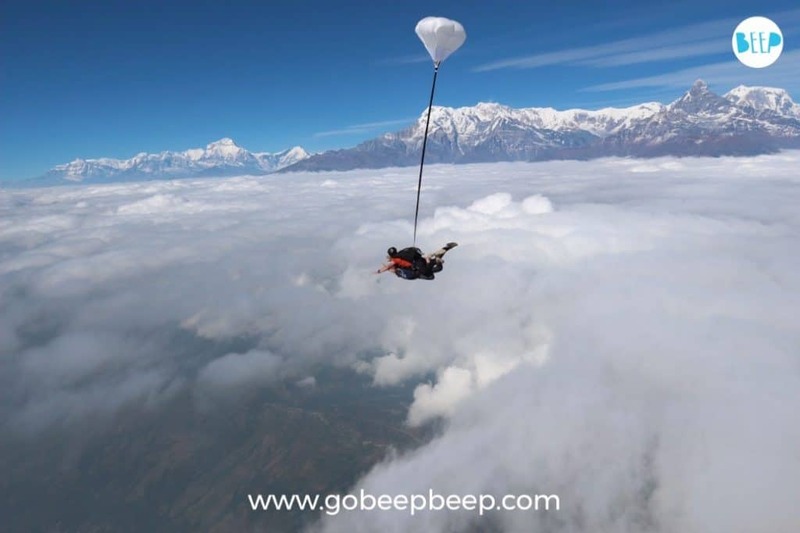 This whole experience was created from scratch with special permissions from the Government of Nepal along with a team of highly specialized Skydiving Experts from across the world. 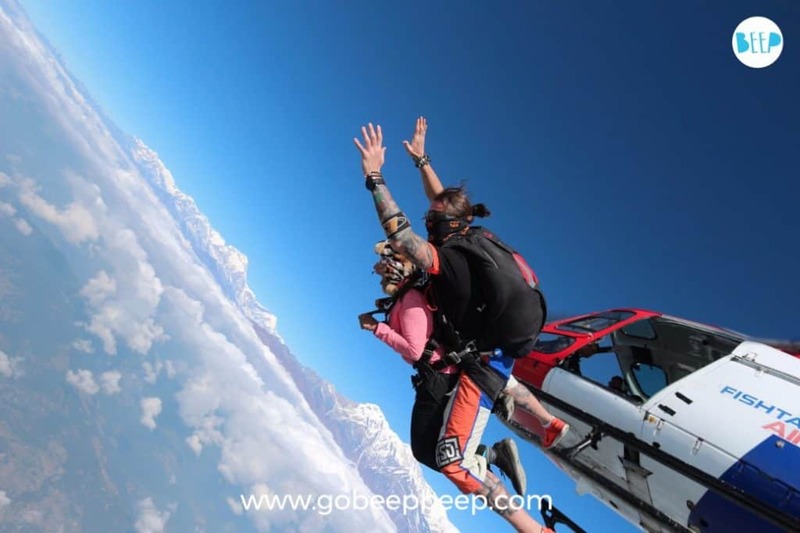 And the same is about to happen again from 7th -12th November (Group 1) and from 9th – 14th November (Group 2) for the 2017 edition of this legendary Skydive in Nepal over the majestic Himalayas!! These 15 people got to be part of something that only a few in the world can say they have experienced. 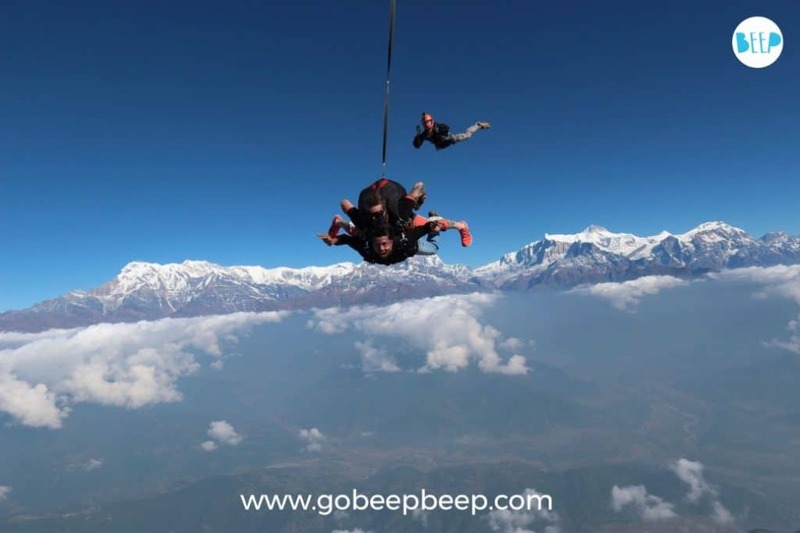 A Skydive in Nepal with those giant sun kissed but frozen Himalayan peaks all around you, while you jump off from 15,000 feet definitely earns you bragging rights for life! “I felt like I had a Super Power and was flying in heaven, it was all just beyond my wildest imagination…. 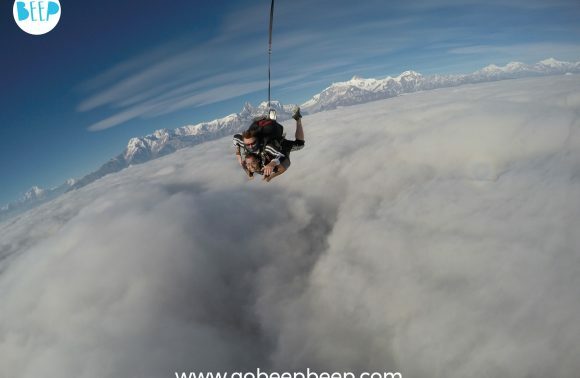 Trekking up those gigantic snow-clad Himalayan mountains is awesome but to be able to Skydive Over the Himalayas is something most wont get to do in this lifetime. It is an extraordinary experience with no parallels. 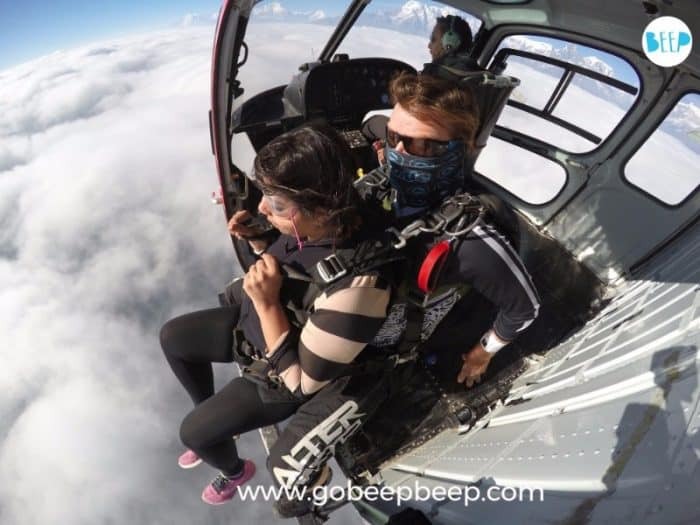 “That mad Skydive In Nepal, to the full view of the glorious Annapurna while looking down at the clouds was like nothing I had experienced before. I felt invincible dude like I think there’s very little I cannot do after this jump. 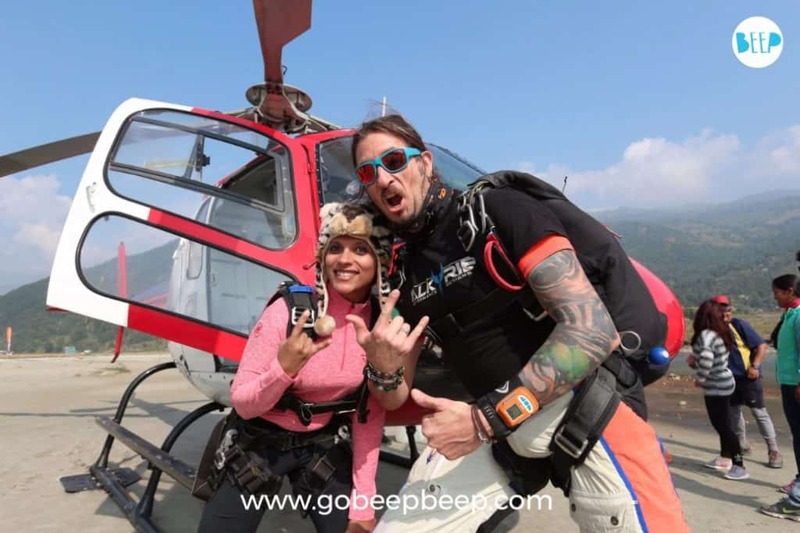 It’s not just the fact that you are jumping out of a damn helicopter over the snow clad Himalayas. 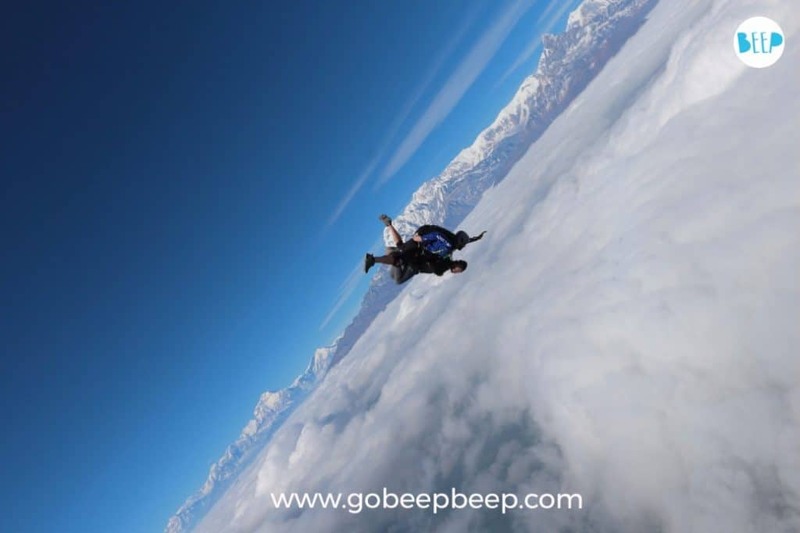 it’s the fact that this special event can happen ONCE – A – YEAR – ONLY that makes Skydiving In Nepal extremely special. Bucket Lists are made for this kids. 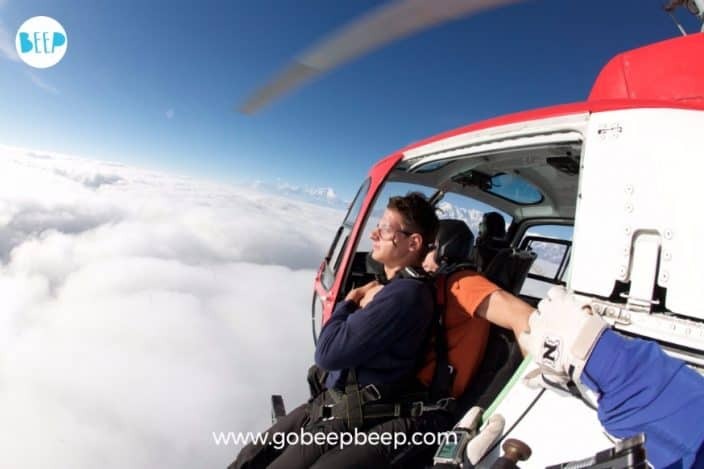 The whole skydiving experience was set-up in Nepal for 4 days only, last November. But as far as the pictures and stories go, those were some truly crazy 4 days! Celebrations happened every day up in the air and then till late in the night at the many bars and pubs around Pokhara reminiscing the mad unbelievable day that just went past. 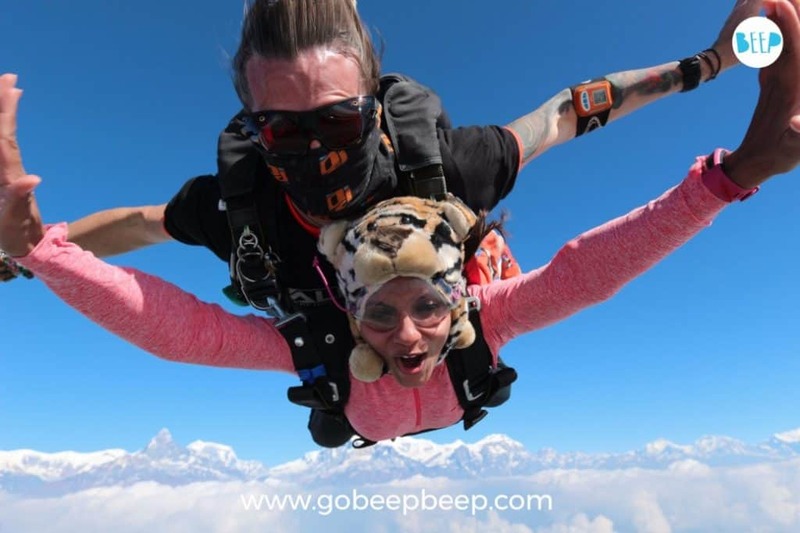 Now BEEP is ready for a repeat of their Skydive in Nepal in November 2017 and we can’t wait for the photos that will come this time. 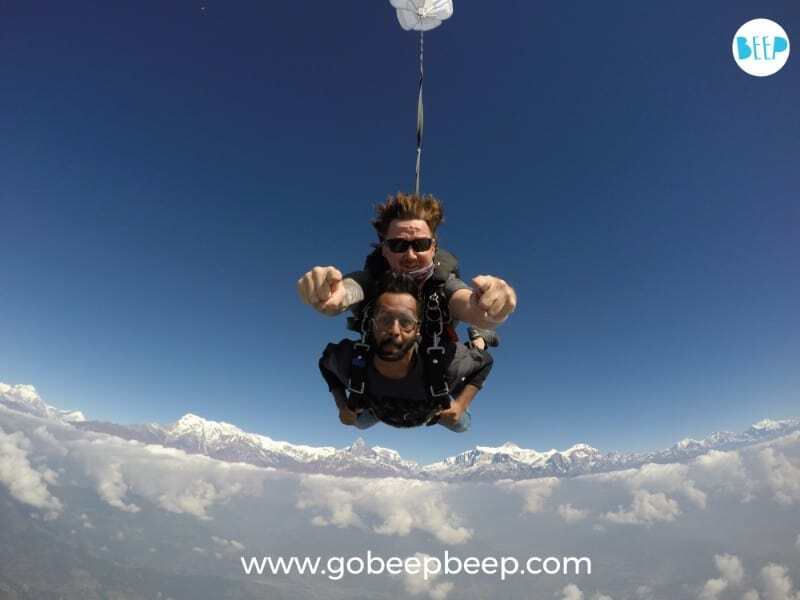 “GoBeepBeep, a crazy bunch of people and a skydive over the Himalayas…. it was absolutely incredible! After a crazy experience like that, you probably wouldn’t wanna come back down to earth. But if you must, soft sands and smiling faces, lots of hugs and kisses are waiting and after all the stories from the participants of the last event, emotions overflowed to say the least! 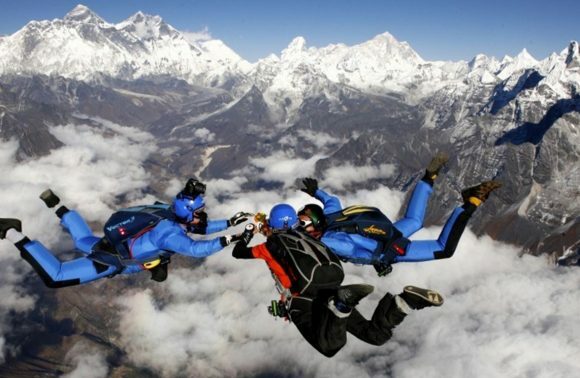 This Skydive In Nepal Over The Himalayas is just something else….. Disappointed that you missed out on this crazy ride? I’ve got your back! 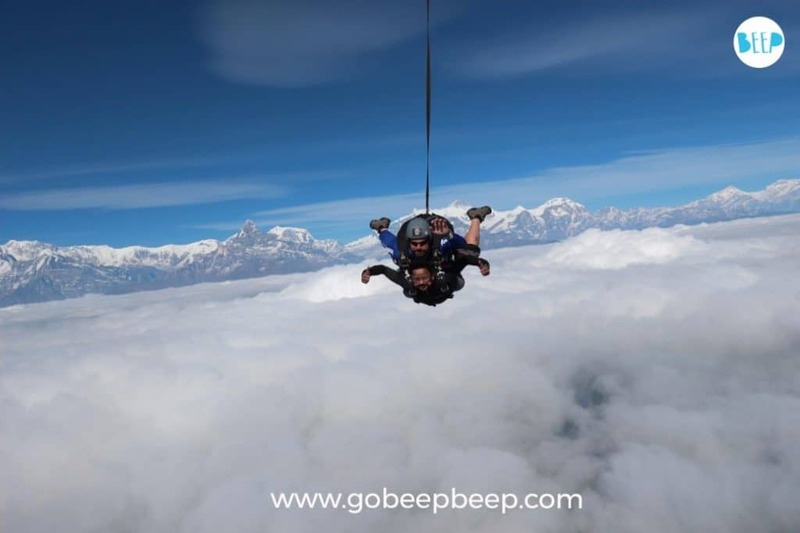 This annual Skydive in Nepal trip is happening again in November 2017 but there are only 30 spots this time….. So you better hurry otherwise you’ll have to wait till November 2018! Go ahead and sign up here. 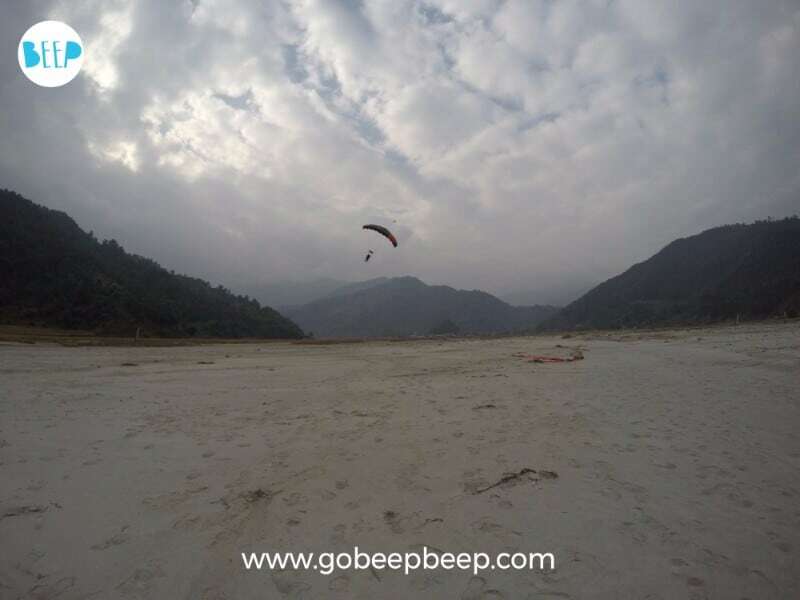 If you would like to know more about this Once-A-Year-Only Party In The Himalayan Skies….